First on the “Food” list is not really food at all but crucial to its production and consumption. One of the most important things to have is WATER. It is better to have too much than too little. When you plan your experience, know where to get it and how you want to use it. 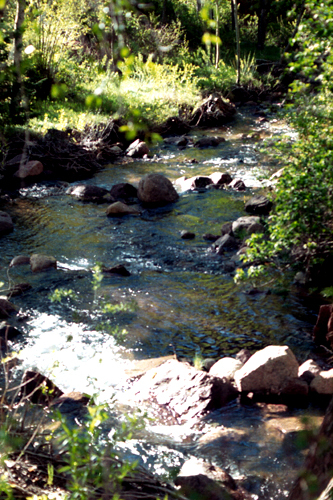 Water is an essential ingredient to being able to be in the outdoors comfortably, period. Before we go any further with food, lets get it straight about food safety. Any food has to be packed, carried, and consumed with the environment in mind. One part of the environment of great concern is animals that will appropriate your food as theirs or, worse yet, see you as part of the menu. Small animals are also of concern, too. Racoons can be a real nuisance. Some animals can pick up smells from miles away. Heed the instructions in the equipment section and how to set up your campsite for maximum safety of both your food and you. Take all trash with you. The National Park Service has a saying: “Take only pictures. Leave only footprints”. Having enough to eat on the trail is essential. On a hike or backpacking trip you will use more energy than normal, whatever “normal” is. “Normal” is different for each person and you will have to establish what your intake is in order to estimate how much food you will need to make a successful hike. One of the best foods to carry is oatmeal. If you have a taste for it – Not everybody does – It is an easy fix, packs well, and is very inexpensive, sometimes just plain cheap. The “instant” varieties are easy to use and come in their own packages(although these tend to be very small and several must be used to make a good meal), in many flavors and combinations. 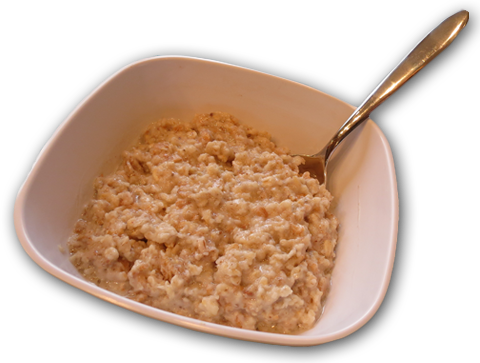 If you are into doing it yourself, oatmeal is an easy fix. One can used dried fruit and package the combo as desired, making the servings whatever size you want. It can be easily packaged in ziplock bags. Don’t forget the grit, either. A handy device to have is a dehydrator. They can be found at many stores, as well as thrift shops, and are not expensive. These can be used to make jerky, dried fruit, dried fish. One of the best fruits to dry is apples. Bananas also lend themselves to ease of drying. OK. Jerky! One of the best methods used to have meat on the trail is jerky. It can be purchased but tends to be expensive. For the price of several packages of this, one can buy a dehydrator. Making jerky in a dehydrator is straightforward. Instructions usually come with an new machine or can be found on the internet. 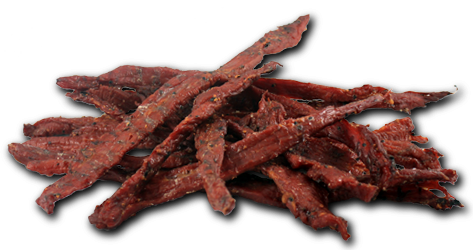 Know that jerky can be made from many kinds of meat. Fish can also be dried. You get dried fish, though, not jerky. Each has its own method. Spam is another meat option. It’s can crushes down easily for the trash bag. Tuna and salmon in a bag are both winners. Instant potatoes and pancake mix are also good and very inexpensive. If you can stand the taste of powdered milk, regulation cereal n milk become a reality. The legendary granola bar is still a good choice and another relatively inexpensive option. Drinks: The most efficient route here is powdered, instant, drinks, and there are a ton of choices. For coffee and tea drinkers, the choices are many, too, with both these being compact and lightweight. To me peanut butter is one of man’s greatest inventions, out there on the same level with ice cream and stereo. On the trail, it is one of the best. 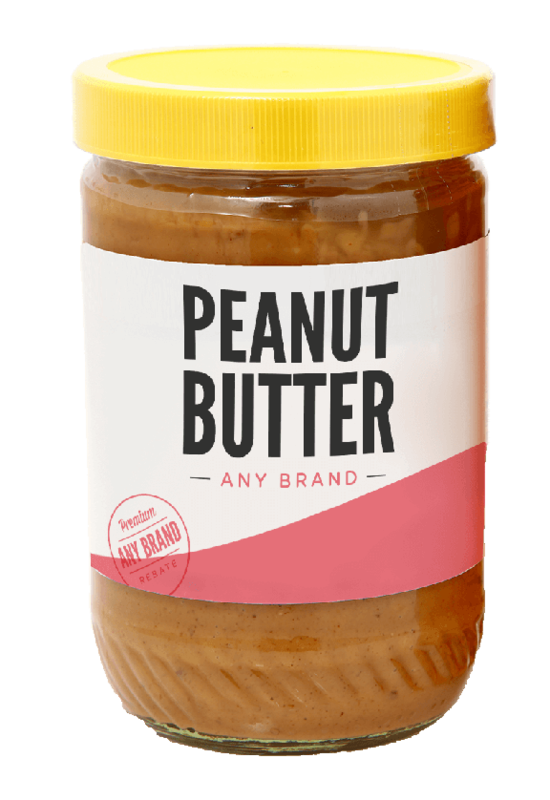 It’s a high fat/high calorie substance: There are 94 calories in 1 tablespoon of Peanut Butter. The breakdown is 72% fat, 12% carbs, 16% protein per tablespoon! It’s easy to carry, usually coming off the shelf in plastic containers ready for your backpack. The one drawback is that it is very dense and heavy. It does pay for that in the amount of energy it gives and the fact that it is relatively compact. 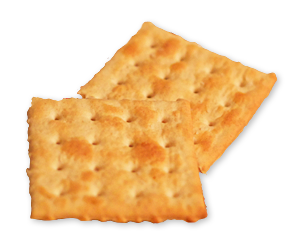 Peanut butter partners up well with crackers.